The Many Dimensions of Chinese Feminism. New York: Palgrave, 2011. 286 pp. If one were to sum up the thrust of Ya-chen Chen’s The Many Dimensions of Chinese Feminism in the form of a succinct three-point statement, it would have to read something like this: “This is a study of what Chinese feminism is, what it is not, and what it ought to be.” Indeed, the author explicitly posits the first two points in her foreword, and the third emerges from her last chapter, which is entitled “Feminist Orientalism and Occidentalism: Feminist Theoretical Round-Trips, Feedback Loops, and ‘Not-one-ness. '” While the title of the book unambiguously announces that the subject of Chinese feminism is varied and multilayered, thus implying that the question of what Chinese feminism is can never be answered conclusively, the author–self-identified as a Taiwanese feminist (15) working in the field of Chinese Studies in the West and positioned within U.S. academic discourse on diversity–actually does proffer some tentative, and disputable, answers. By her own admission, Chen’s study is driven by a twofold concern: firstly, to challenge the misconception in Western academic discourse that “Chinese feminism is synonymous with Communist [or PRC] feminism” (x/6), and secondly, to determine “what role diversity plays in regard to Chinese women and Chinese feminism” (3). Not surprisingly, the author affirms that “the multiplicity of feminism is true not only for the West but for China as well” (1). Despite Chen’s commendable recognition of diversity within the “Chinese cultural realm” and her critical understanding that “Chineseness” must take into consideration other Chinese-speaking areas outside the PRC such as “imperial China, Republican China, colonial and post-colonial Hong Kong, Taiwan, Macao, Manchuria, Mongolia, and Tibet” (5), her book is mainly a comparative study of the academic reception of French feminism and local feminist discourses in the PRC and Taiwan during the 1990s. References to other Chinese-speaking locations are limited to Hong Kong in chapter two, which provides, on the one hand, an historical outline of feminism in modern China since the Opium Wars and, on the other, a contrastive overview of the dispersed and divergent histories of feminisms in Taiwan and Hong Kong (20). Chen’s privileging of the PRC and the ROC during this decade is readily explained and justified when considering the monumental historical and political changes in greater China (and East Asia) that precipitated the interest in Western feminism: in the PRC, the Tiananmen Incident in 1989 and the United Nations Conference of Women in Beijing in1995; in Taiwan, the lifting of martial law in 1987 and the rise of the DPP; and in Hong Kong, the return of the colony to the PRC in 1997 (19). Consequently, Chen’s empirical data consist of interviews with fifty feminist scholars from Taiwan and the PRC and an investigation of what she designates as the major leading academic literary journal from each country. For instance, chapters three and four are summaries of interviews with leading feminist scholars in Taiwan and the PRC, who present their views on the academic reception of Western as well as “local” feminism in the 1990s. This bi-focal, not to say “national,” organization is carried over into chapters five and six, which are essentially reading reports or content reviews of articles on French feminism published in two leading academic literary journals. In the case of chapter five, it is Chung Wai Literary Monthly (Zhongwai wenxue), one of the most reputable literary journals in Taiwan, and for chapter six, the author selected Wenyi lilun (Literary and art theory) as almost every Asian library at major American universities subscribes to this PRC publication. While The Many Dimensions of Chinese Feminism succeeds in addressing various misconceptions about Chinese feminism in the West, the book is not the in-depth study of primary sources in Chinese feminist theories that the title might suggest. Instead, it is a sociological exploration of Chinese feminism as a translingual practice and Western problematic, which the author formulates as a series of critical insights in chapter one; namely, (a) that existing feminist anthologies published in the West blatantly ignore Asian or Chinese feminism, (b) that Western feminists and Asianists focus narrowly on Chinese feminism from the PRC, and (c) that non-Asian scholars tend to conflate Asian American or Chinese American feminism with the whole of Chinese feminism. Although Chen may have a point in blaming “feminist Orientalism” in the West for what Said has called a “positional superiority” that can go hand-in-hand with “feminist Occidentalism” in the East to reinforce, rather than challenge, a critical blindness towards the “scholarly hegemony that results from positions of authority within academic power structures” (13), the book unfortunately falls short in demonstrating through empirical data how the conceptual pitfalls that led to feminist Orientalism or Occidentalism could have been avoided in the past or can be successfully guarded against in the age of neoliberal globalization. Admittedly, to have done so, the author would have had to move beyond the methodological parameters of her sociological approach and look farther than historical conditions and structural issues for additional explanations. Arguably, many of the author’s own conceptual premises about Chinese feminism and her conclusion that “Chinese feminism cannot be reduced to one-ness” (22) fit squarely into a global neoliberal academic discourse that runs the risk of trivializing “multiplicity and variety” (22), “local adaptations” (17), and the “two-way” or “’round-trip’ circuit of theory travel” (19). In that sense, her statement that Chinese feminists “strategize their own acculturation and critical reception of Western feminist theories and match those with local socio-cultural trends in [the] Chinese cultural realm” (17), as well as her assertion that “Taiwanese feminist scholars exert their cross-lingual and cross-cultural power to match those of Western feminist literary theories with local trends” (17), do not come across so much as novel research findings but rather as preconceptions drawn from received academic discourse. The same critique can be made of her statement that “not all ideas of Chinese feminism came from West, some are ‘homegrown’ but based on Western ideas” (18) or her assertion that “PRC feminist scholars [have to strike a] balance between state and post-socialist conditions of working” (18). However, for readers unfamiliar with East Asian, Chinese Studies, and Western feminist discourses, Chen’s book does provide a convenient reference for, and general overview of, the cross-cultural dynamics of feminist knowledge transfer from the U.S. to the PRC and Taiwan. Particularly useful to non-Chinese readers are the brief historical accounts of the development of feminist discourses in the PRC, Taiwan, and Hong Kong, and the summaries of influential articles by local feminist scholars. Furthermore, the author’s personal observations and anecdotal comments on the academic power structures in Taiwan and the PRC are instructive in terms of the usually unspoken and under-analyzed sexism and cultural politics in East Asian institutions of higher education. It should perhaps be noted here that the author has also published a book on Higher Education in East Asia: Neoliberalism and the Professoriate. Nevertheless, however commendable Chen’s objective may have been in writing The Many Dimensions of Chinese Feminism, the end-product is burdened with several conceptual tensions, albeit ones of a productive nature. To begin with, the author’s assertion that “Chinese feminism is not ‘one'” is intentionally framed by her personal concern to legitimize Taiwan’s own identity and history, and to recognize the island in its own right. Her chapters on Taiwan’s feminist discourse and its reception of Western feminism reveal, I believe, her real desire in writing this book, which is to implicitly claim the category of “Chinese” for Taiwan and to argue that “Chinese” should not be reduced to the PRC because the latter stands for communist, authoritarian, and unsophisticated. A case in point is her argument that feminist scholarship in Taiwan inhabits a superior critical position when compared to the processes of reception, translation, and adaptation of Western theory in the PRC, wherein she highlights the “cross-lingual” and “cross-cultural” ability of feminist scholars in Taiwan, something, however, that is never mentioned in the context of PRC feminist scholars. Although we may safely assume that feminist scholars on both sides of the Taiwan Straits possess English, and possibly French, language skills, the assumption is made here that in Taiwan, due to its colonial and post-colonial background, as well as earlier exposure to the U.S., “cross-lingual” skills are generally higher and “cross-cultural” navigation more subtle. In chapter 5, for example, which focuses on discussions of 1990s French feminist theories that took place in the pages ofZhongwai wenxue, the author points out that Taiwan’s reception and understanding of French feminism is more critical because several feminist scholars comment on linguistic nuances in the translations (161). Yet no clear evidence is given as to whether this critical insight was obtained through a reading of the French originals or via Anglo-American translations and/or critical studies, of which there are plenty. As a matter of fact, given that the author explicitly highlights Taiwan’s wholesale “Americanization,” which began during the Cold War period (156-7) and has inspired one of Taiwan’s leading cultural critics, Kuan-Hsing Chen, to publish an article on this subject entitled “Club 51” (i.e. a reference to a group in Taiwan that supports the notion of the island becoming the 51st U.S. state), it seems more probable that feminist scholars in Taiwan, most of whom obtained their Ph.D. degrees in the U.S., would turn to Anglo-American translations or critical studies of French feminism rather than reading French feminism in the original. If that is potentially the case, we should not assume that the critical insights here are due to superior “cross-lingual” sensitivity on part of feminist scholars from Taiwan. Nor it is clear why feminist scholars from the PRC, who have access to the same Anglo-American translations and critical studies, should be less receptive to linguistic nuance in French feminist theory. 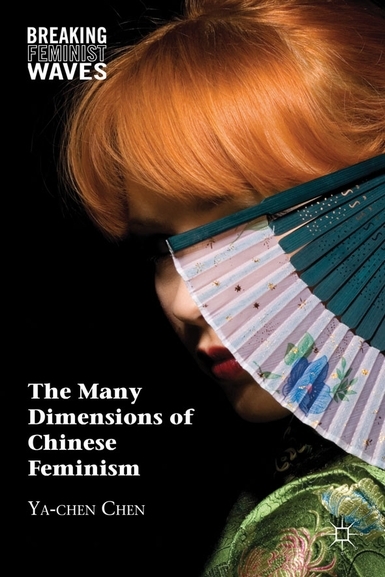 Secondly, the two chapters on the reception of French feminism in the PRC and Taiwan in the 1990s do not render “Chinese” feminist discourses all that differently from their Anglo-American and Western counterparts, where arguments leveled against or in favor of French feminism were, in Chen’s description, almost identical. Thirdly, the reasons why feminism in the PRC tends to be more contained within academia, whereas feminism in Taiwan is more oriented toward political activism, are analogous to those responsible for the divergent developments of feminism in France (i.e. more academic and less political) and in the Anglo-American world (i.e. more practical and political activist). Last but not least, the author’s conclusion that what is needed is a “round-trip of feminist thought” between the East and the West (211), despite being an uplifting notion and a definite move in the right direction, also presupposes a familiarity with Asian languages and cultures on the part of Western (academic) feminists. However, this is unrealistic and ultimately unfeasible, particularly in the context of the U.S. where the acquisition of an Asian language is rarely a requirement in primary, secondary, or tertiary education. And unless more conventional academic disciplines, such as sociology, anthropology, history, or philosophy, require knowledge of at least one Asian or another European language as part of the basic doctoral training program, Asian or other area studies specialists will have to continue to carry the scholarly burden of translating and introducing non-Western/local/indigenous theories–feminist or otherwise–to other parts of the world. In this sense, Ya-chen Chen’s The Many Dimensions of Chinese Feminism indirectly partakes of a larger, ongoing intellectual project to critically examine, and self-reflectively engage with, the ideological ramifications of a globalized and globalizing power structure of knowledge.